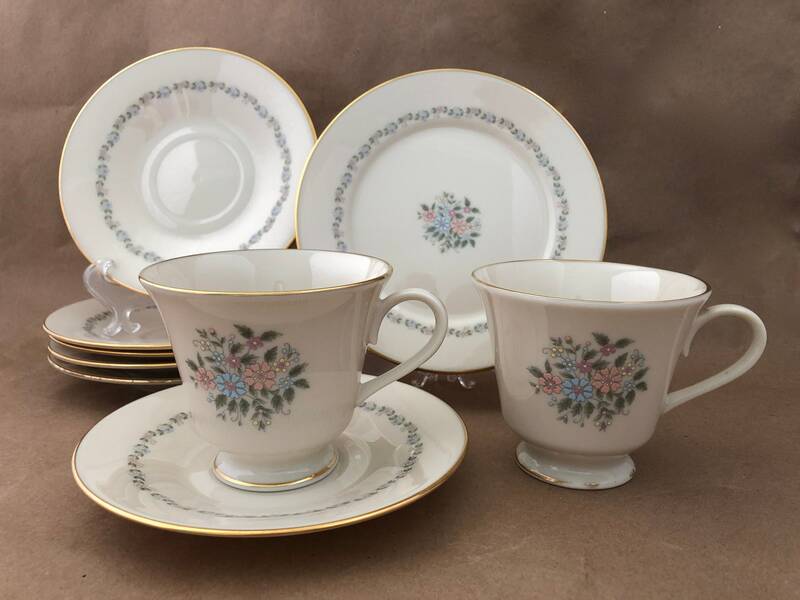 This collection of Lenox floral china pieces is from the "Christie" pattern produced in the USA between the years 1982-87. It features Lenox's classic ivory background and 24 k gold trim, and is decorated with center sprays and border garlands of blue and pink pastel spring flowers with green foliage. Beautiful china is always in season, but this particular pattern is a welcome a particularly nice image of spring when we long for it or want to welcome it. 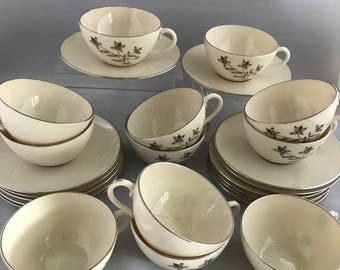 This small collection from an estate includes 9 pieces of "Christie" china - 2 cups, 6 saucers, and 1 bread and butter plate. All of the pieces are nice, but their condition varies as do their prices based on condition. Use the toggle at the top right of this listing next to the photos to select the pieces you would like to order. Bread & Butter plate = 6 1/2"
Shipping costs vary depending on the number of pieces of ordered starting at $2.95 for one piece. Orders totaling over $50 ship free.